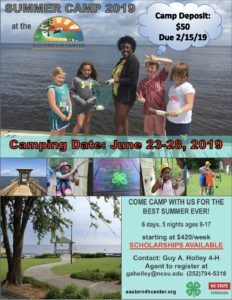 Come camp with us! 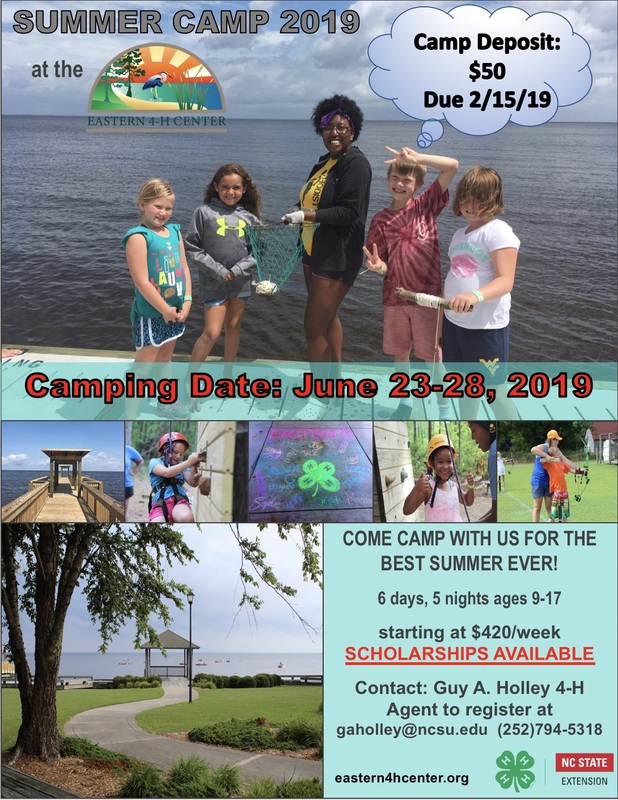 June 23–28, 2019 – 6 days 5 nights, ages 9–17! The camp will be held at the Eastern 4-H Center. For more information contact Guy Holley at 252 794-5318. • Forsyth County Well Represented in District 4-H Competition!